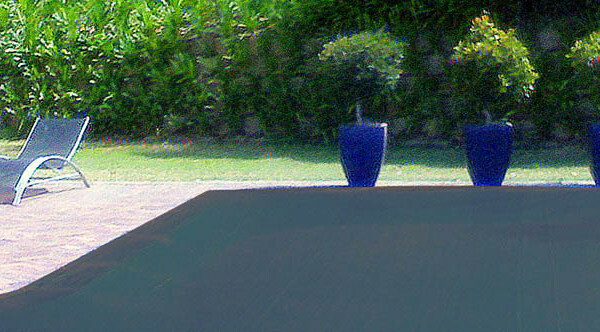 The PVC Mesh LeafNet leaves the pool water visible and gives an aesthetically pleasing and clean finish to the pool. By eliminating water contamination by leaves and debris, pool maintenance and chemical input can be scaled back. 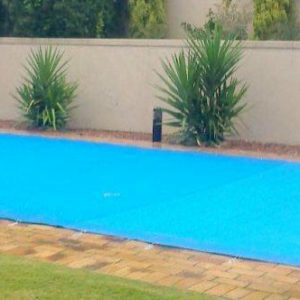 This is a popular cover in winter months and in leafy gardens subject to frequent high winds. It also offers safety features for pets however the lack of a central tensioning system means it is not to be used for child safety. Adults should always supervise children playing near the pool. LeafNet is a popular cover in winter months and in leafy gardens subject to frequent high winds. Water hygiene: when leaves and garden debris rot in pool water, the water’s pH levels and water hygiene are compromised and will require extra chemical input to restore balance. The LeafNet prevents this. Household savings: because the LeafNet eliminates dirt and debris collecting in the pool and causing water contamination, filtration times and chemical input can be scaled back which allows for household savings on power and chemicals. The amount of time spent on pool upkeep is also reduced. Water savings: curbs evaporation so less top-ups are required to maintain water levels. Pet safety: small pets are protected from entering the water. Secured to the coping with hooks and eyelets. The PVC Mesh LeafNet is available in black. LeafNet carries a one year warranty but can be expected to last longer with correct care. To calculate the cost of your pool cover and place your order, please follow the 4 step process below. Please note that when ordering a LeafNet, delivery and fitment by ourselves is mandatory.